Color/Consistency A thin light bluish to yellow liquid. 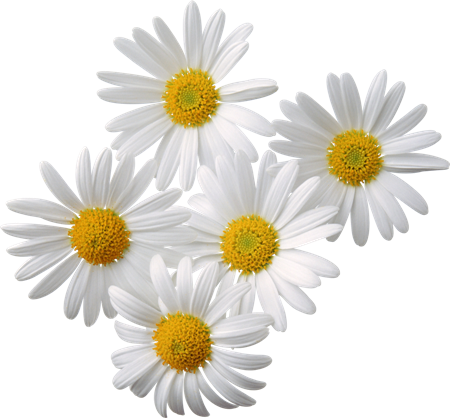 Aromatic Summary / Note / Strength of Aroma A strong middle note, Roman Chamomile has a fragrance like apples and sweet straw, and is considered the finest smelling of all chamomiles. Blends With Bergamot, Clary Sage, Lavender, Geranium, Jasmine, Neroli, Patchouli, Tea Tree, Rose, lemon and Ylang-Ylang. 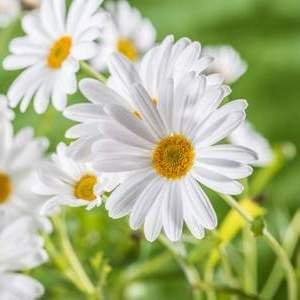 There are several types of chamomile essential oil used in aromatherapy, and this makes it vital that you choose the correct type of oil for the therapeutic properties that you require. 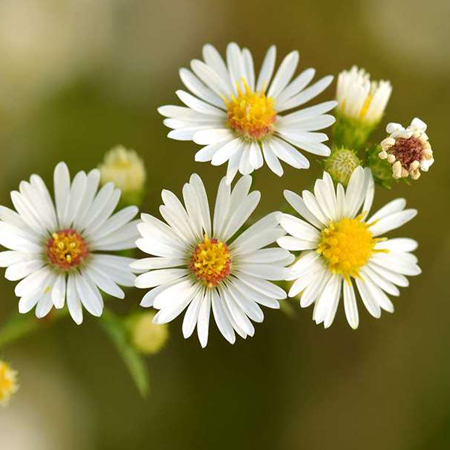 Roman chamomile essential oil is the most popular of the three types of chamomile oils used in aromatherapy, possibly due to its vast range of healing properties and amazing versatility. Most people seem to prefer the fragrance of Roman chamomile oil to that of either the German or Maroc, and it certainly blends well with a very wide range of essential oils. 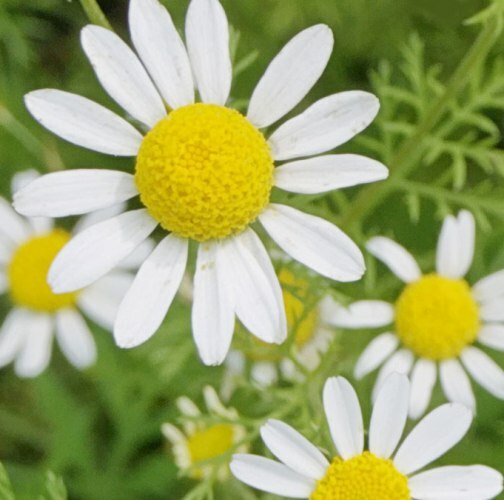 The Latin name for Roman chamomile is most commonly given in aromatherapy and botanical books as Anthemis nobilis (Linnaeus), but there has been a growing trend of late to refer to this plant as Chamaemelum nobile. 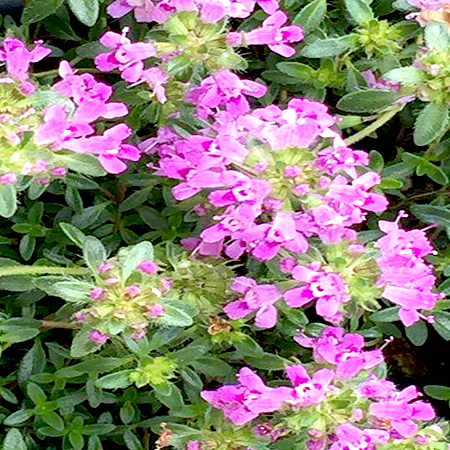 Both names are correct and do refer to the same plant and not a different sub-species. The double variety (cultivar) is the main source of the commercial drug today, and has been certainly known since the 18th century; it is sterile, and is propagated vegetatively by suckering. he plant reaches a height of 15 to 30 cm and generally flowers from June to September. 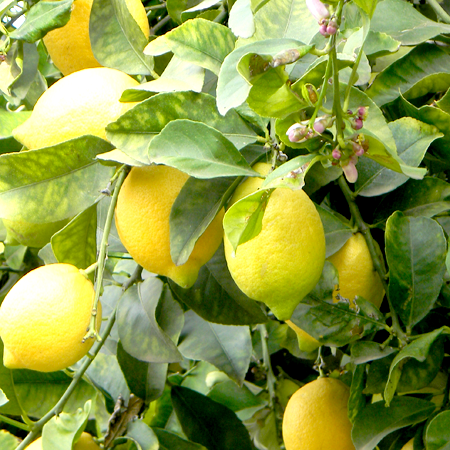 A. nobilis plants are cultivated in the south of England, Belgium, France, Germany, Hungary, Poland, Yugoslavia, Bulgaria, Egypt, and Argentina. 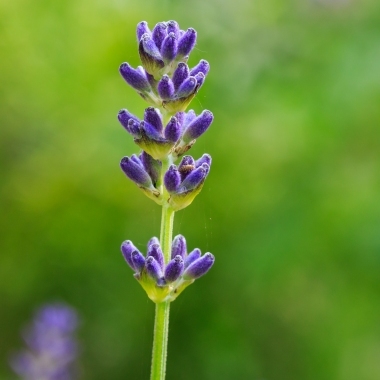 In France (Anjou) more than 160 ha are devoted to this cultivation; the production yield is about 1 ton of dry flowers per ha. 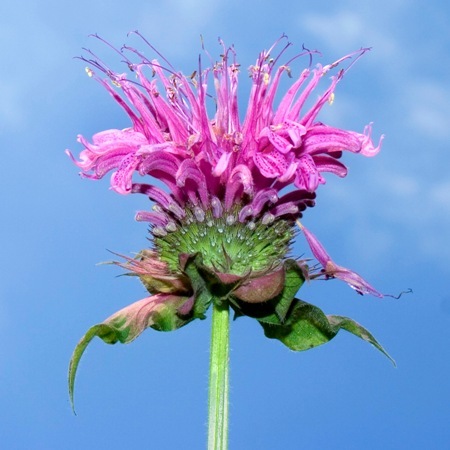 As a result of breeding, some of the tubular florets present in the wild plant have become ligulated, and it is these “double” or “semi-double” flower heads which form the commercial drug. Dilute before use; for external use only. May cause skin irritation in some individuals, and should be avoided by those allergic to ragweed; a skin test is recommended prior to use. Contact with eyes should be avoided. Quality Roman chamomile oil is prone to oxidation, and should be stored in light-tight, cold conditions. May be adulterated with isobutyl angelate and bisabolols. Has GRAS status. In a 2003 report, JECFA stated that the committee had “no safety concern” about isobutyl angelate, based on current intake as a food flavoring. Adverse skin reactions In a 48 hour occlusive patch test on 50 Italian volunteers, undiluted chamomile oil produced no adverse reactions. When similarly tested at 5%, it produced one reaction in 290 eczema patients. Undiluted Roman chamomile oil was moderately irritating to rabbits, but was not irritating to mice; tested at 4% on 25 volunteers it was neither irritating nor sensitizing. It is non-phototoxic. Urinary effect Administration of 350 mg/kg of Roman chamomile oil to rats by sc or ip injection resulted in decreases in water elimination from 93.04% to 46.85% and 28.10% of the water administered. The major constituents of this oil were butyl angelate and isoamyl angelate. Nothing meaningful can be extrapolated from the massive dose used he . 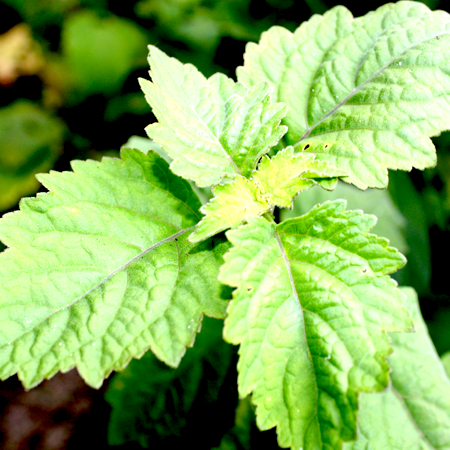 Acute toxicity Roman chamomile oil acute oral LD50 in rats >5 g/kg; acute dermal LD50 in rabbits >5 g/kg. 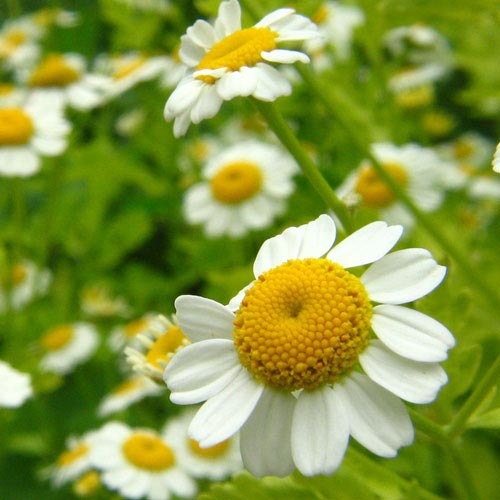 Antioxidant/pro-oxidant activity Roman chamomile oil showed moderate antioxidant activity as a DPPH radical scavenger and low activity in the aldehyde/carboxylic acid assay. Carcinogenic/anticarcinogenic potential Roman chamomile oil was not mutagenic in either a Bacillus subtilis rec-assay or an Ames test. Chamomile oil significantly induced glutathione-S-transferase activity in mouse tissues. Roman chamomile oil contains no known carcinogens. There is wide variation in the reported constituents of Roman chamomile oil, although the majority of the oil always consists of angelate and butyrate esters. On the basis of current knowledge, unlikely to present any hazard in aromatherapy.